Colour: Full original hand color. Size: 15 x 19 1/2. 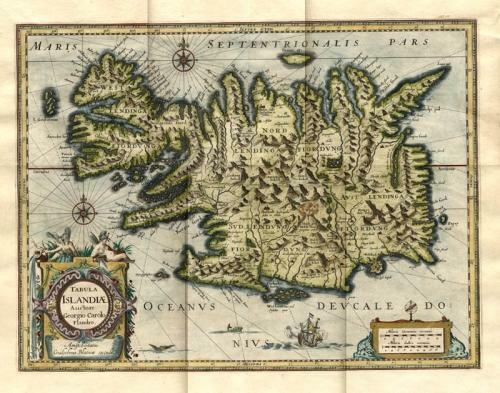 A fascinating and very beautiful map of Iceland by Willem Janszoon Blaeu based on the work of Juris Carolus. The map has very bright colours and wide margins and includes a wealth of detail of the topography of the island (including an exploding volcano). Excellent condition.